We had two BB guns. A rifle and a handgun. We had too much time on our hands. So we did what kids do...we scoured other people's neighborhoods and randomly shot out car windows. I drove a 70's Datsun painted with house paint, Smurf blue. The floor boards under the drivers side seat were gone and I could see the road as I drove over it and what splashed under the car, splashed onto my legs. None of us were a very good shot with the guns. In fact, Will got his "Willy One Thumb" nickname because I nearly blew off his thumb trying to shoot a target out of his hand. We would creep up to a car in the night and shoot it's window until it caused a spider effect or shattered altogether. Then we would drive off laughing. Once My truck stalled as I kicked in first gear to get out of there and we were left with several moments of anxious horror as we waited for the owner to come out. We got away and the owner didn't wake up. That night, we were arrested, kind of. We were pulled over and taken to jail but not officially arrested. Joe hid the gun under my work apron in plain sight...the only place they didn't search. Pure genius. Weeks later, we were driving through the mall parking lot. We had to stop for an old man crossing the parking lot road. As we sat waiting, we heard a snap and a strange cracking sound and looked in horror at the car in the spot in front of us as it's window splintered and fell under it's own weight. Behind us was a single hand holding the pistol from the back mini seat of the truck. It was Joe. In broad daylight. In a mall parking lot. On a Saturday. Later that week, Will and Joe would go out together to shoot windows. I was at work at the theater. They showed up with Will angry and holding his hand. 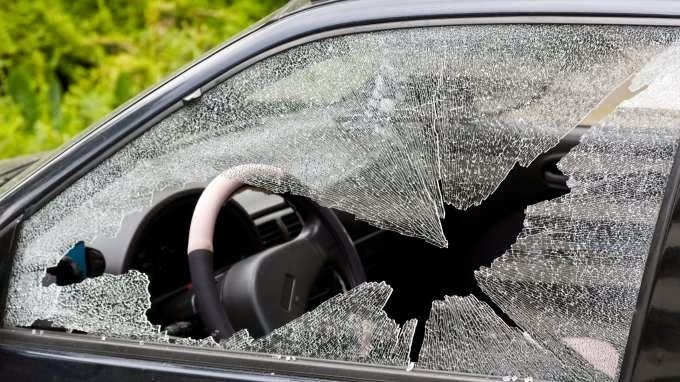 They had found a prime window to demolish and Joe had convinced Will to let him shoot out the driver window from the passenger seat. Joe missed so badly that he shot Will right in the muscle of the hand web. I couldn't help but laugh because how did Will not know that was going to happen?